If you have read the last couple of posts on our adventures so far in Croatia, you may have worked out that Croatian drivers are crazy, their roads are narrow and neither me or Neola have been enjoying the constant danger very much. 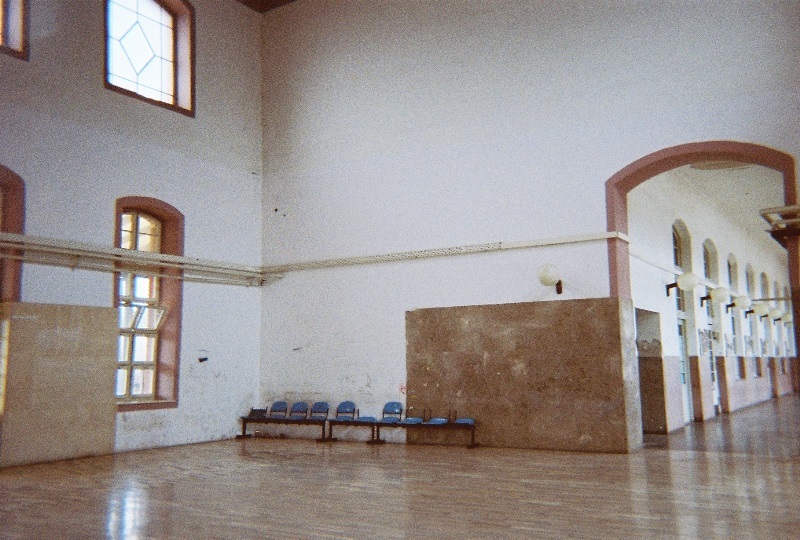 For this reason, we decided to take a little short cut and get a train to Zagreb, capital of Croatia and our next stop. 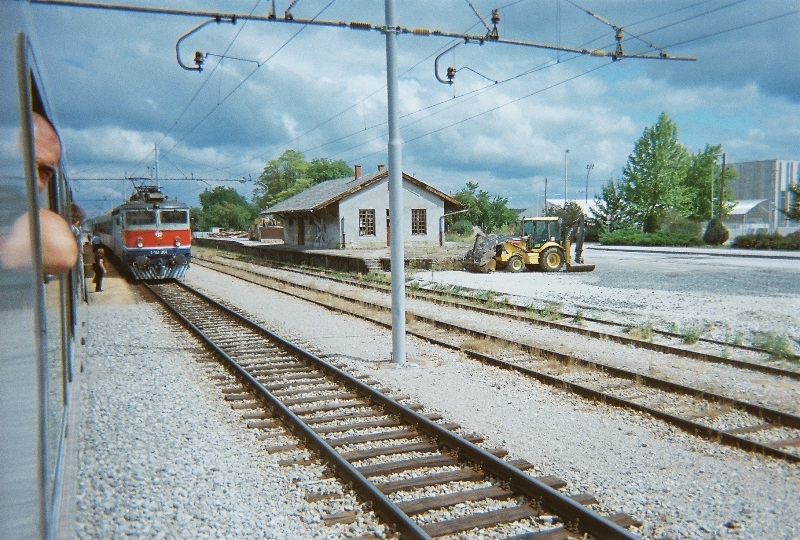 It sounds like an easy plan but unfortunately Croatia’s rail network is sparse to say the least and we were still 50 miles away from Karlovac, the nearest train station that served Zagreb. With our last day off being extremely rainy, we both said a little prayer to the rain gods the night before and hoped for dry weather. We woke up to a grey sky but no water falling out of it which was just fine. Packed up and tasty breakfast gruel eaten we were on the road before 8am. 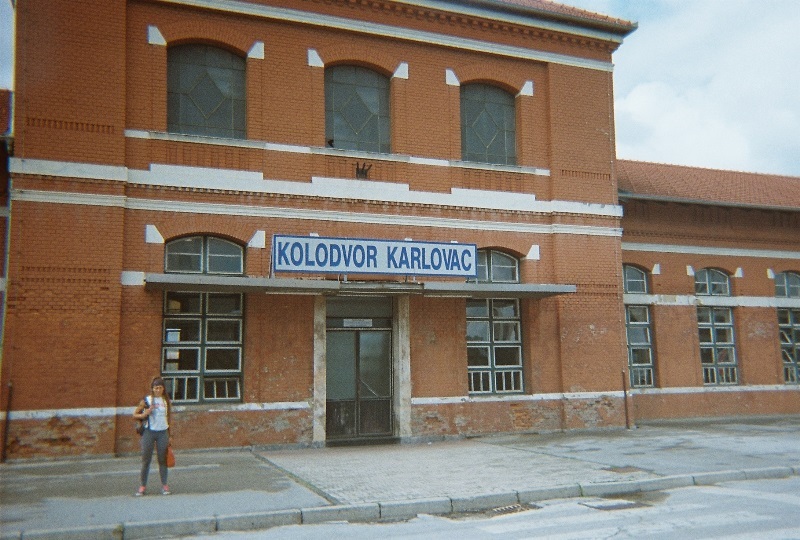 Our plan was to cycle up the D1 road to Karlovac, where we would be able to get a train into the center of Zagreb. 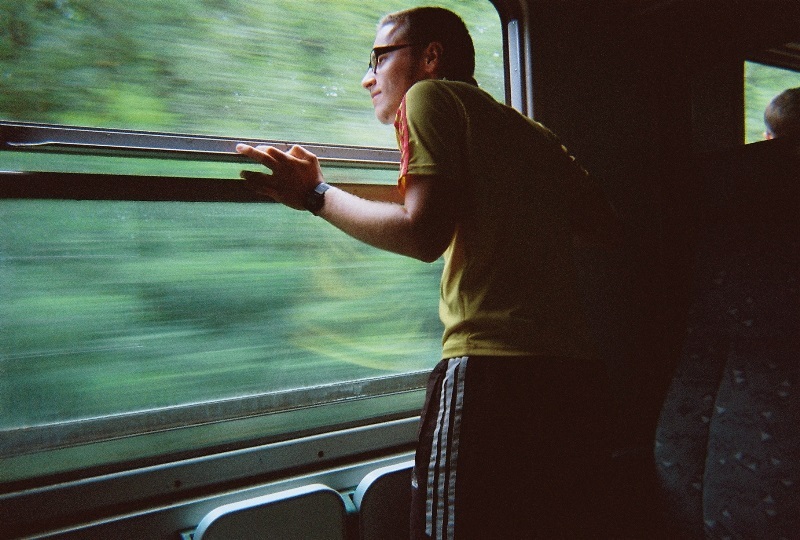 We had initially planned to cycle all 82 miles to Zagreb in one day but after deciding we valued our lives more than our pride the train was a better option. Our journey was nearly entirely on the D1, only ducking off it for the last mile to the station. Thankfully it stayed mainly dry and bar one or two heart-in-mouth moments it was more relaxed than the other roads we’d ridden. 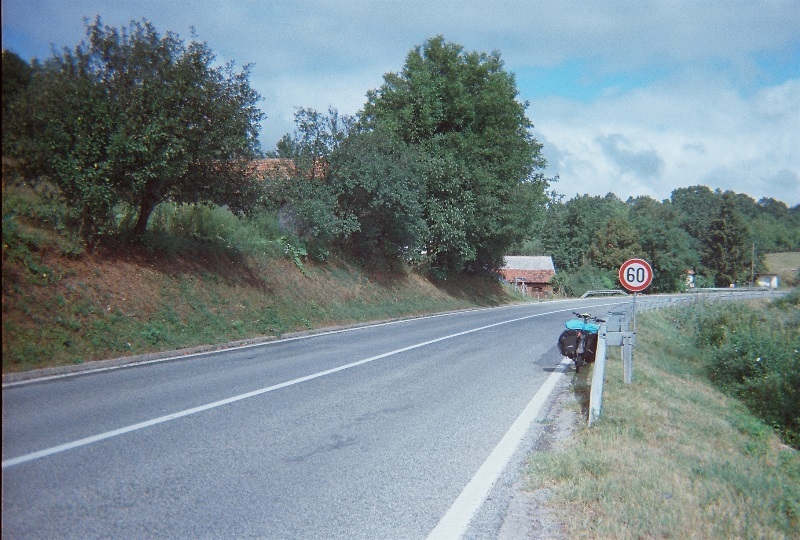 The first 40 miles before Karlovac were through agricultural and farmland and apart from stopping to inflate Neola’s tyres it was plain sailing. As we descended into Karlovac, we flew by a selection of military equipment on display and with our recent minefield episode fresh we decided to turn back and have a look. 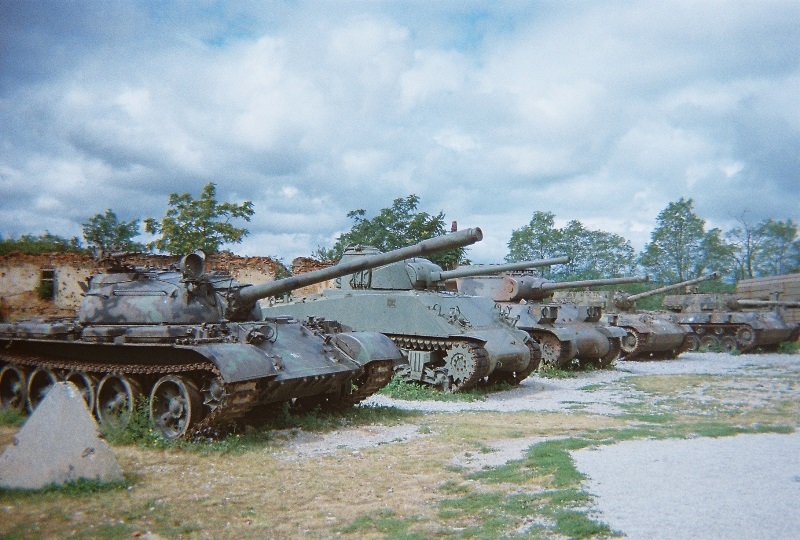 The display was part of what was currently being built into a museum about the Croatian war of independence. Turns out that Karlovac had been a key stronghold for the Croatian army and government and the building to be the museum was a party to many peace meetings and treaty signings. 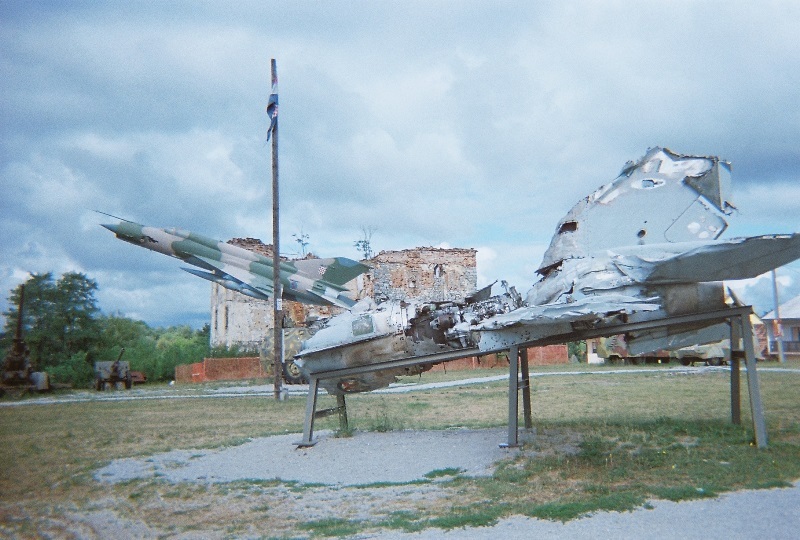 All of the vehicles on display had served in the war, including the half destroyed jet which was shot down near Karlovac and recovered. Brains expanded, it was only a further 15 minutes before we were in Karlovac and looking for the station. Following the signs we arrived at what we thought was an abandoned building, complete with broken windows and nobody around anywhere. Amazingly, the door was open and despite the fact it looked derelict inside too, it was actually a functioning train station! The lady at the ticket desk wasn’t sure if we could have bikes on the train or not so we waited the next hour on the platform with the locals for our train to arrive. 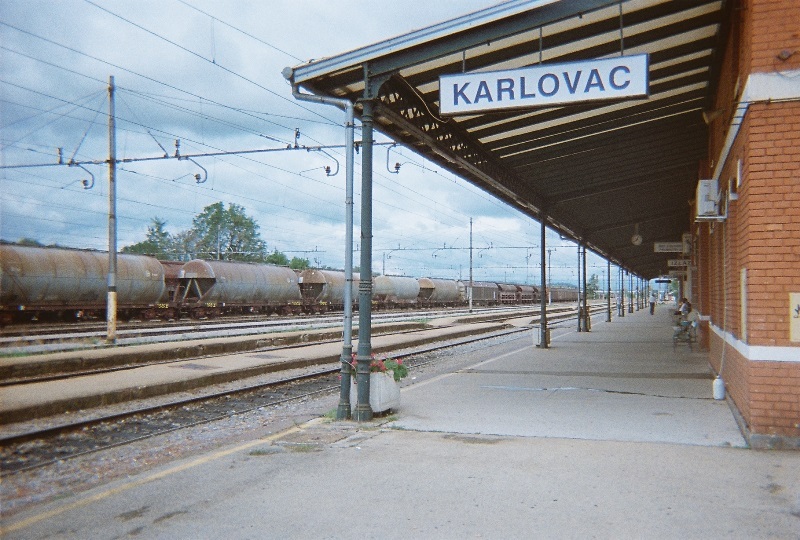 I said before that Croatia’s train network is sparse, given that Karlovac is a fairly big city, only one train arrived or left in the hour we were waiting for ours to turn up. We thought walking over the tracks to get to the other platforms was odd and probably some health and safety nightmare but with so few trains its certainly safer than being on the roads! 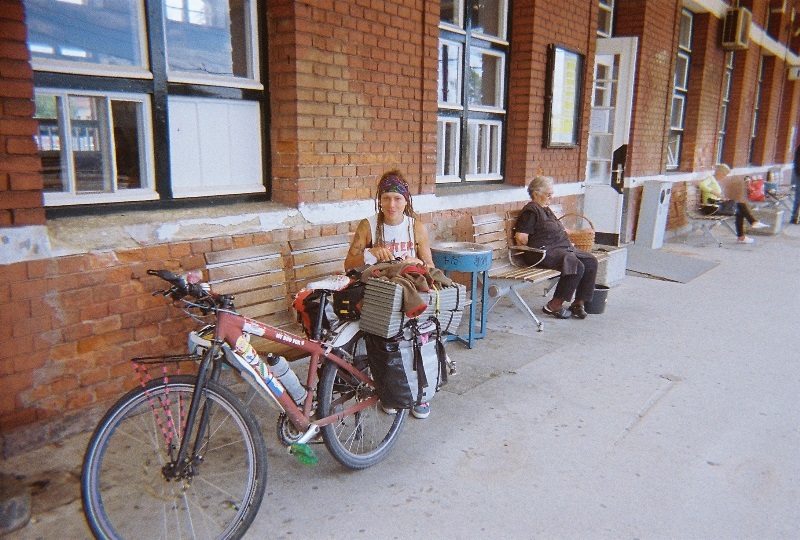 Our train chugged into the station right on time and with the help of the conductor (its a good meter and a half climb from platform to train) we bundled our bags and bikes onto the train and trundled off towards Zagreb. With not knowing if we could put our bikes on the train or not, we didn’t buy a ticket until the conductor came to visit us. Good job it was an hour ride into the city as he had to hand write tickets for both our bikes and us! Arriving at Zagreb station, the only station in the capital of Croatia, it looked and felt much like Sowerby bridge station. Actually, probably Halifax station, but certainly not the station of a capital city, the departures board only had 8 trains for an entire hour! 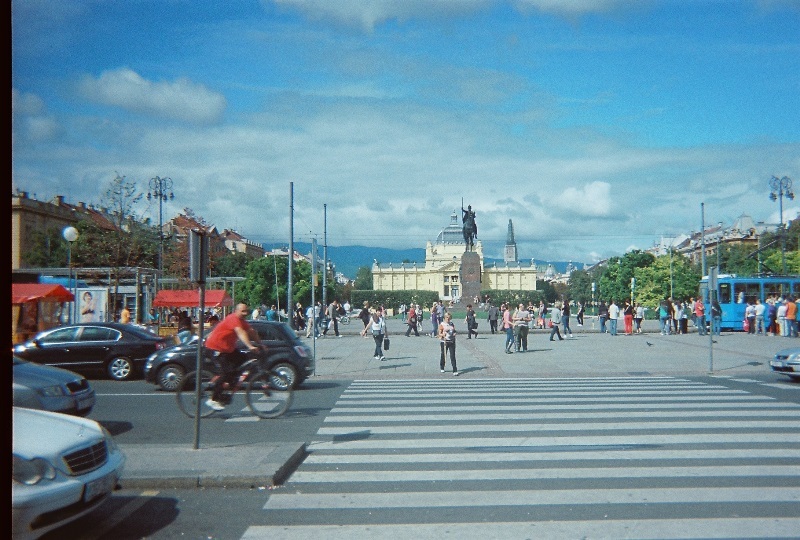 From our brief view of Zagreb leaving the station in the direction of our hostel, it looked like a beautiful city but one as yet we knew nothing about. 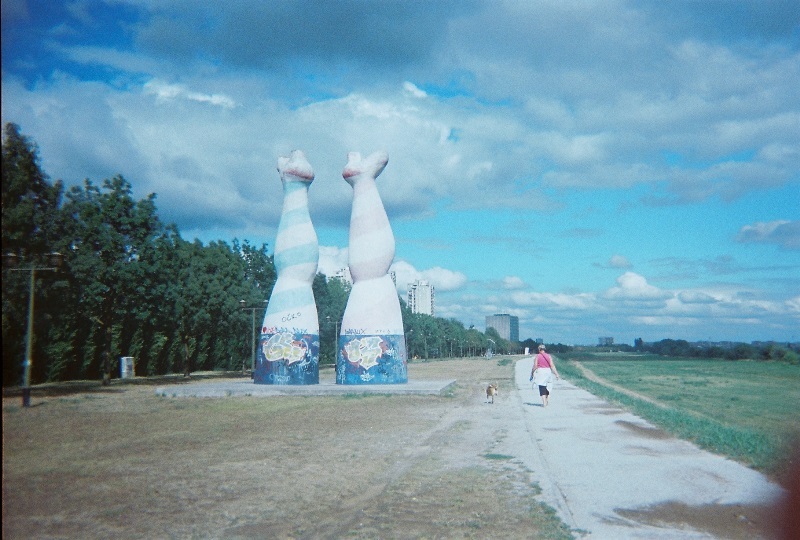 We took the long way and went for a ride along the river just south of the city, saw some giant legs and got extremely muddy. It was a fair old ride to our hostel and when we arrived we were definitely outside the city, our only neighbours were some chickens and a wooden church across the road. Despite its out of town-ness it was a cosy little place with friendly staff and a nice comfy bed. 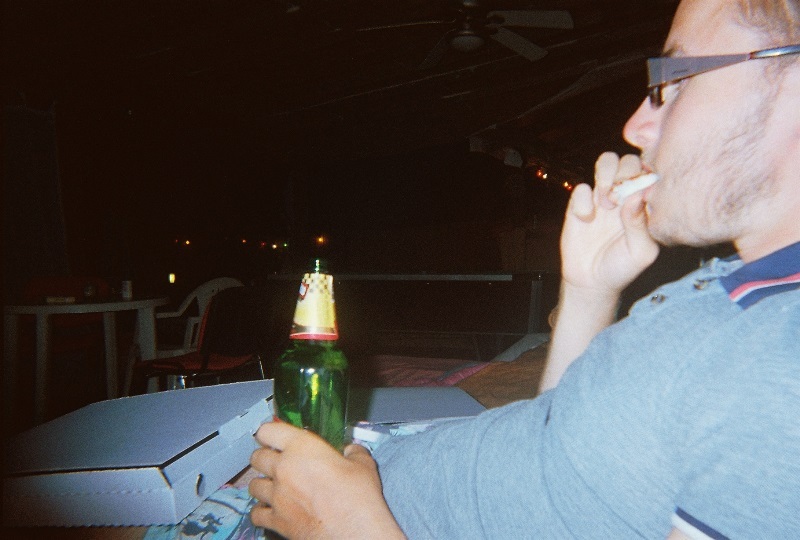 After visiting the supermarket and getting told off for not being able to use the self checkout properly, we ordered a pizza at the hostel. When we asked for a menu, the woman on reception told us we could have ANYTHING on our pizza. Back in our room, we spent a while trying to decide what might be an acceptable Croatian pizza topping, we even checked online but eventually decided that chicken and ham would probably be a safe bet. After all, she did say ANYTHING. When we asked, she said “oh no, they won’t have chicken…”. Not quite ANYTHING then! Leaving the topping decision to her, we drank some beers whilst listening to Bob Marley on some big comfy sofa-beds in the “chill out zone” outside. Ahhhhh.